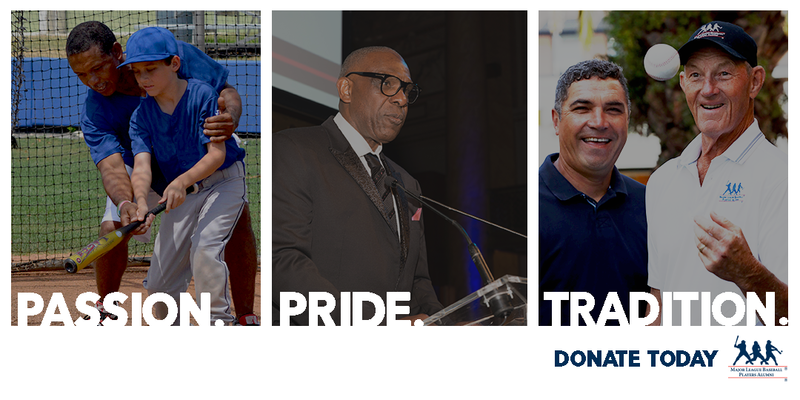 We are on a Mission: To promote the game of baseball, raise money for charity, inspire and educate youth through positive sport images and protect the dignity of the game through former Major League players. To make a tax-deductible donation right now, please fill out and submit the form below. Notify via email? Yes, I would like to send an email notification. Yes, I would like to send a postal notification. Yes, send me a copy of the email notification. Major League Baseball Players Alumni Association (MLBPAA) is a non-profit, tax-exempt organization under Section 501(c)(3) of the Internal Revenue Code. Donations are tax-deductible to the extent allowed by law. © 2019 Major League Baseball Players Alumni Association (MLBPAA). All rights reserved.